What a long project. I got it ready just in time for the A-1 show. It sure felt good to look at it, in like new condition after all these years. 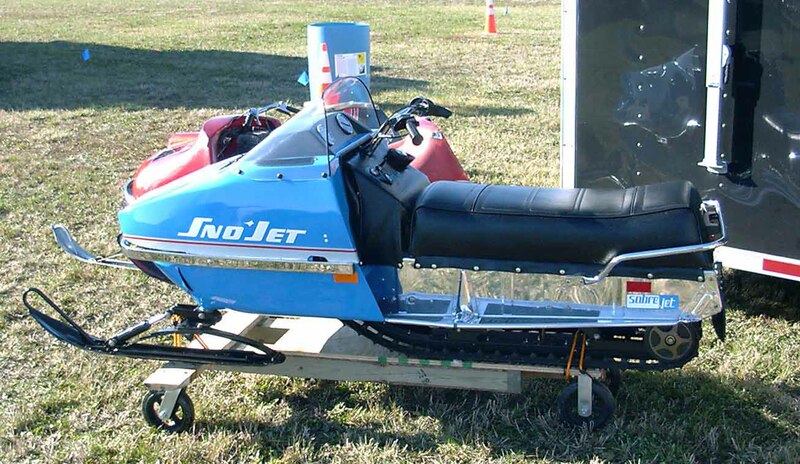 I owned this sled when it was new, sold it in around 1979. 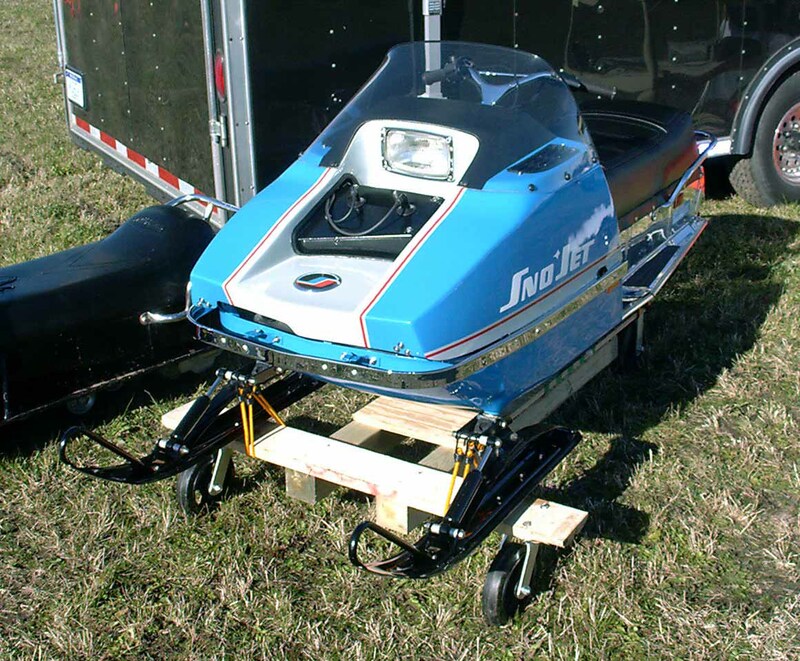 I remember someone, in the mid 70's while I owned it, said that it was a very low production sled, but it didn't really register at the time. 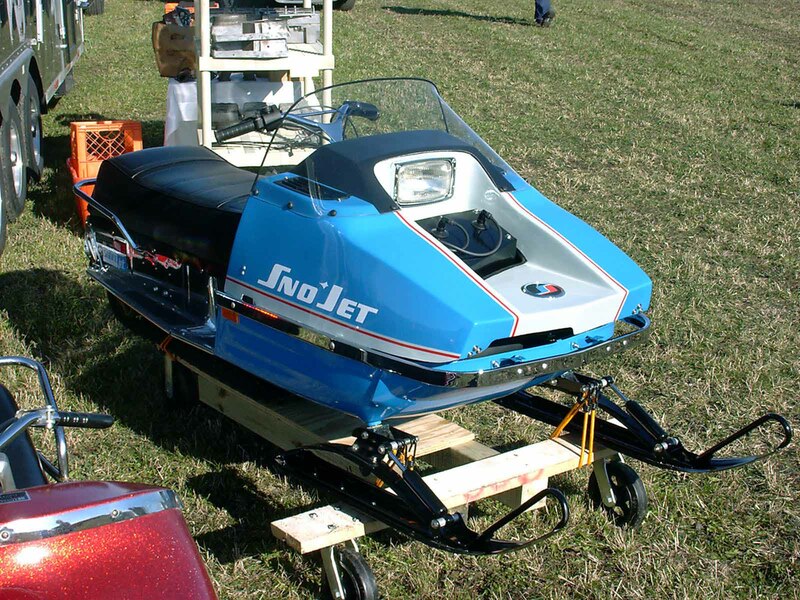 It was my favorite sled in the 70's out of quite a few that I owned. 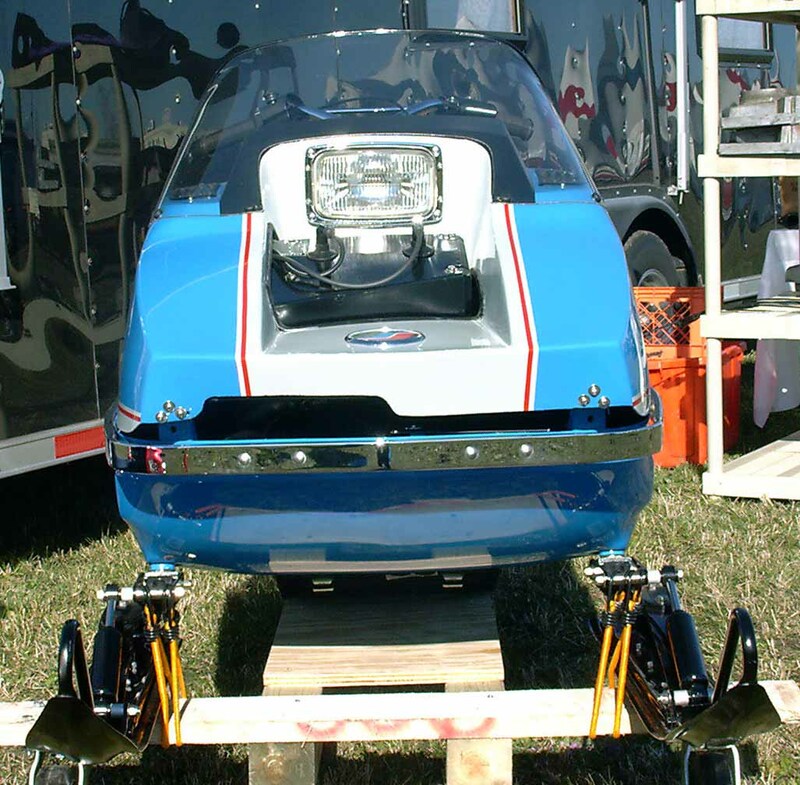 I don't recall ever racing any TRUE race sleds in those days, but I don't ever recall getting beat by anything production/performance. There were plenty of Nitro liquids, GPX, ElTigre, and the like running Gun Lake, where I grew up riding it. I tracked it down thru the state in 1990 and bought it back in 1993. 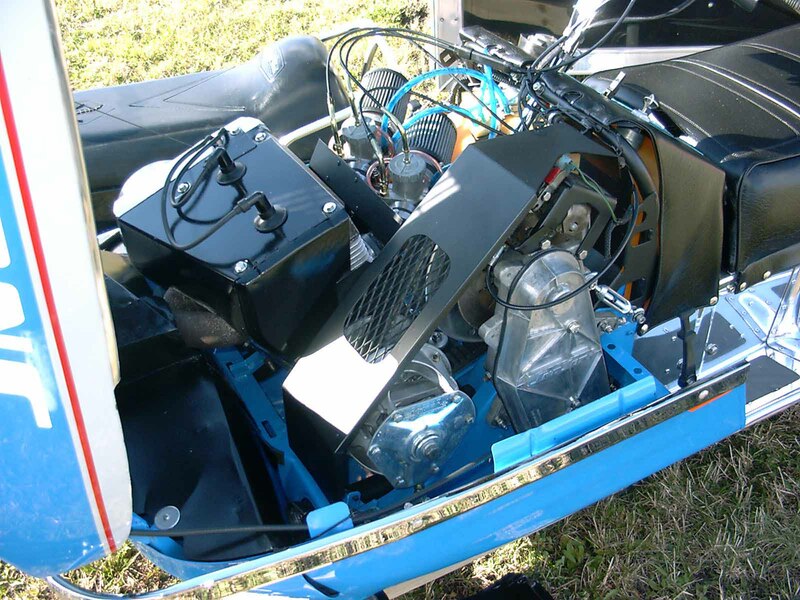 It was in real rough shape, painted Kawi blue with a rattle can, but it was pretty much complete. As you know I spent many years off and on restoring it, even came close to giving it away at one point, but am glad I stuck it out. The Motor is completely gone thru. Northern Crank did the crank, the cylinders were re-plated with Nikasil, and it has NOS pistons and rings. New electronics, and I took the time to get the timing spot on. It has the original muffler, and am working on a custom single pipe, maybe? 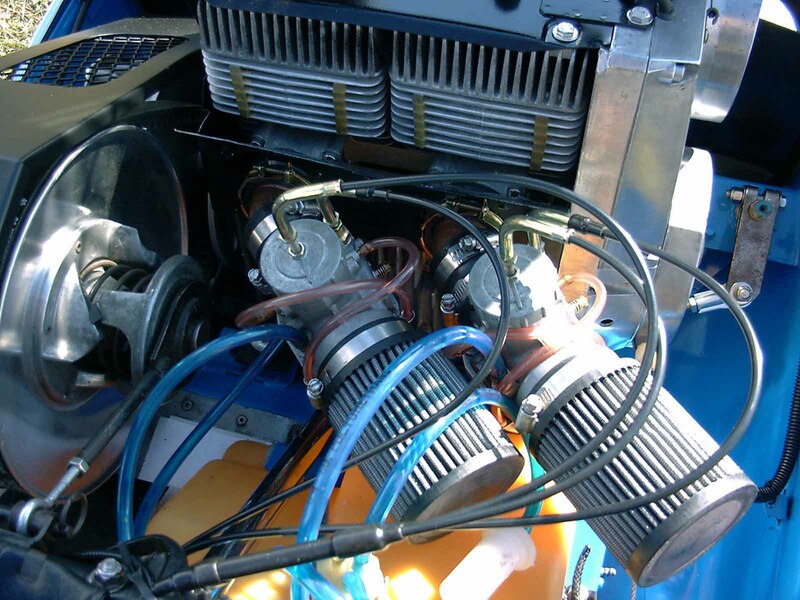 I did decide to run twin carbs, and convert it to Mikuni 38's I mounted the fuel pump on the tank near the fill neck, and had to use a modern day throttle to pull the mik's. The Hood and belly are done in laquore with clear, they were done rite after I got the sled back. Had I waited until recently, it would have been done in modern paint. I putt a Comet 102 on due to the old 100 being a maintenance problem and added a driven clutch adjustment and support for rigidness and so the engine torque wouldn't pull the driven clutch forward. 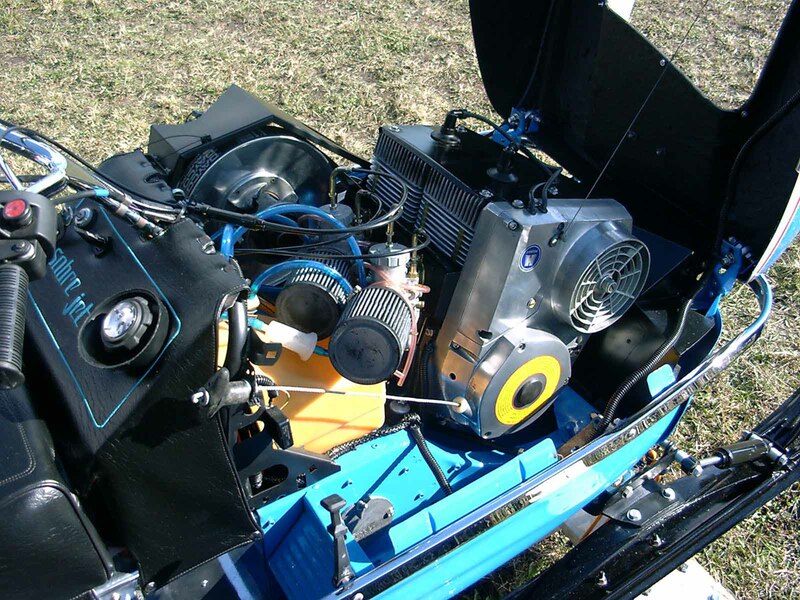 That is one of the main reasons that sleds went to jackshafts. The seat/tank cover was redone by A-1 and stitched instead of heat seams as well the tank cover was embroidered to display the Sabre Jet letters. I widened the rails on the suspension to except a modern day 15/121 track. I converted it to internal lug drive as well. Tunnel clearance won't allow more than the original 1/2 inch lug track and room for studs, so I decided on the new Kimpex speedster 1/2 profile and it came pre drilled for studs, of which I will be installing 120 .75 woodies.